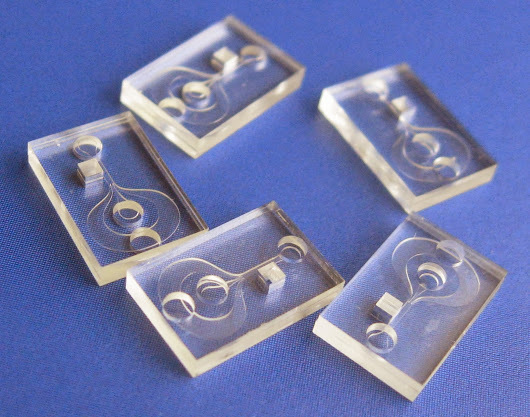 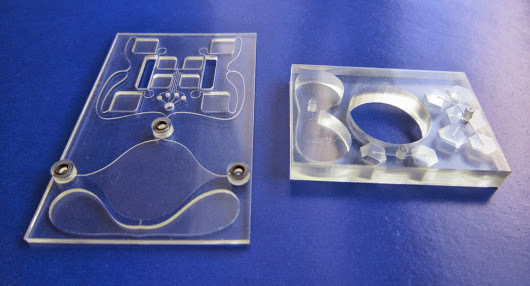 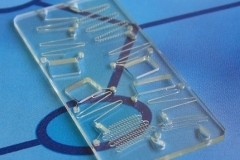 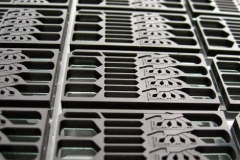 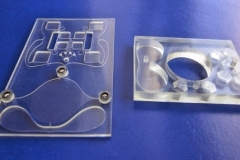 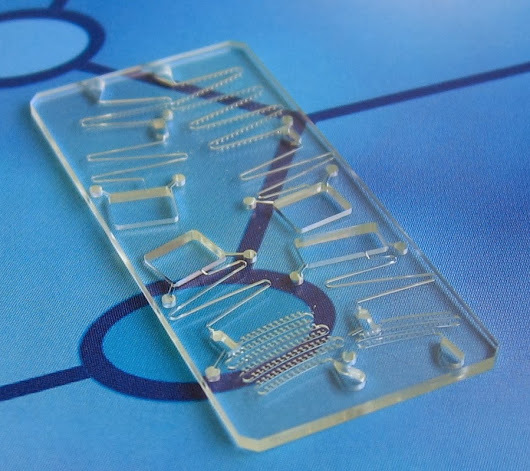 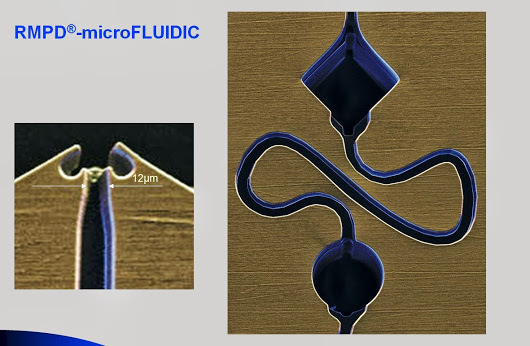 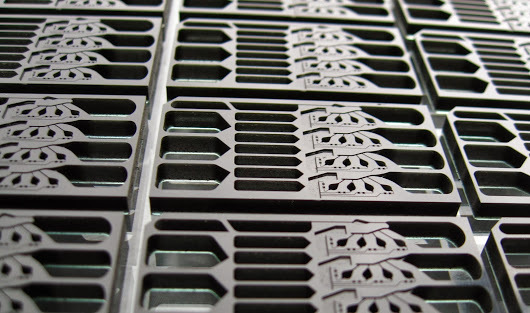 microTEC manufactures microstructures for fluid media with functional structures smaller than 100 μm. 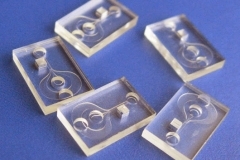 These are conventional flow cells or microfluidic structures in which capillary forces dominate the gravitational force. 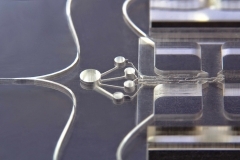 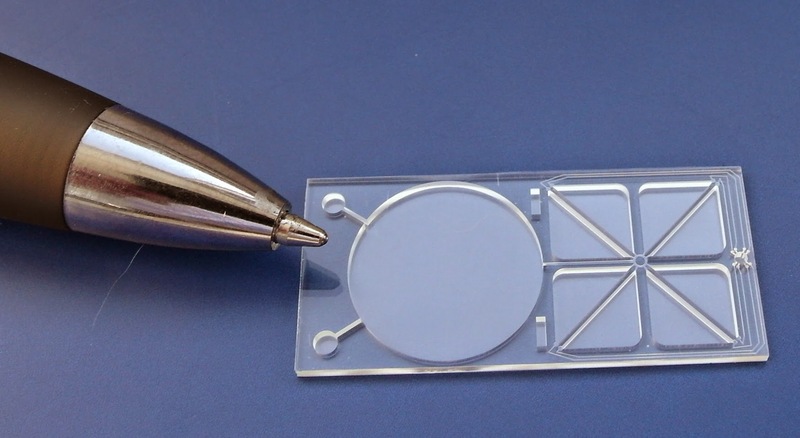 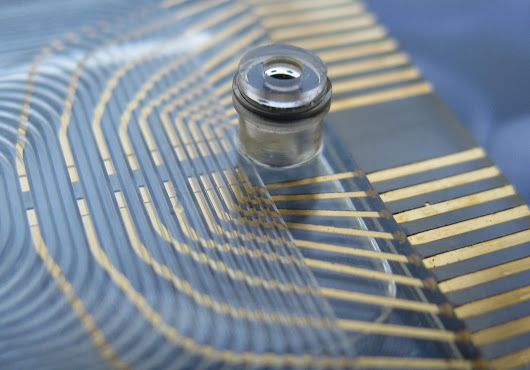 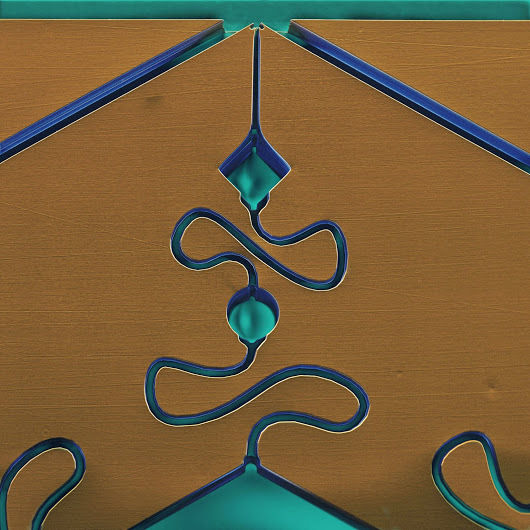 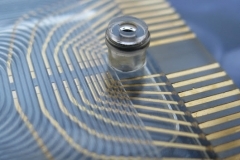 In microfluidics, the gravity can be neglected when transporting very small amounts of liquids. 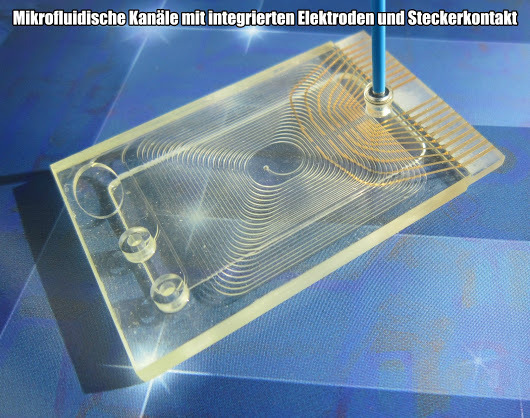 Active pumping mechanisms as often used for flow cells are unnecessary in this type of structures. 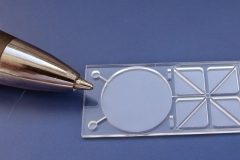 Capillary forces ensure that the fluid can be moved, mixed, separated or otherwise processed.These structures are used in many areas of biotechnology, pharmaceutical research and development, medical technology, process engineering and sensor technology. 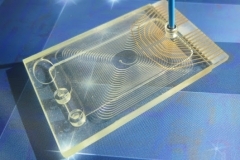 The finished systems are often considered a “lab on a chip”.